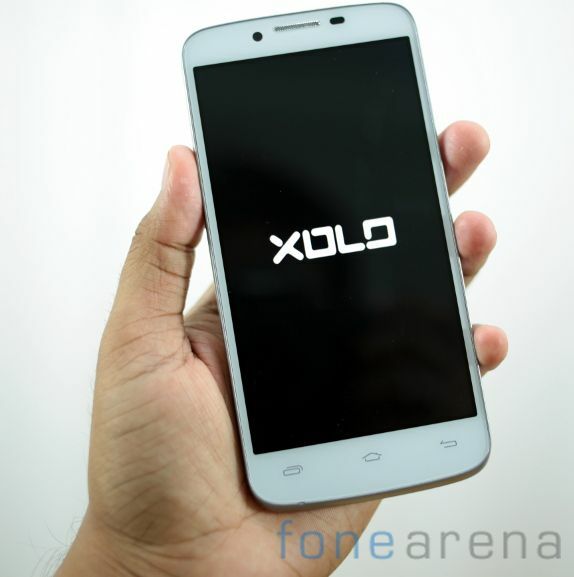 Xolo had launched several phones over the past 1 year, but this is the company’s first quad-core smartphone with a 5-inch HD display. 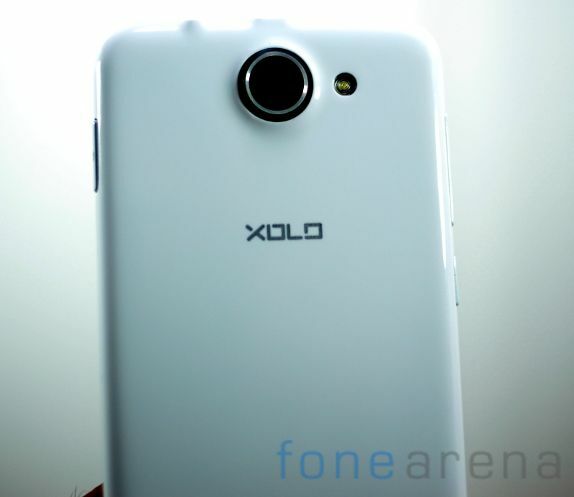 Xolo launched the A1000 back in February, the Q1000 is exactly similar to it in terms of design and the display. 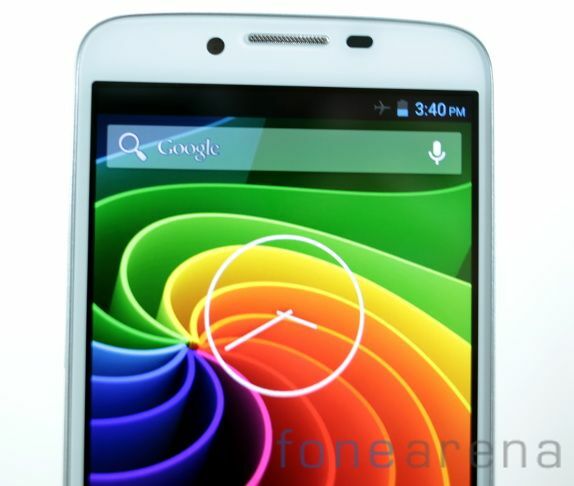 The Q1000 comes under the company’s QCORE series. 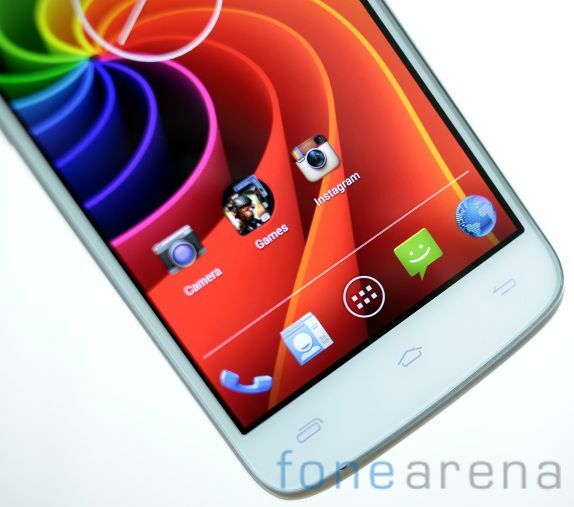 The company launched the Q800 back in March and the Q700 in May and the Q600 was launched recently . We brought you the unboxing of the device last month, here we have the complete review of the device. Let’s dive into the review. 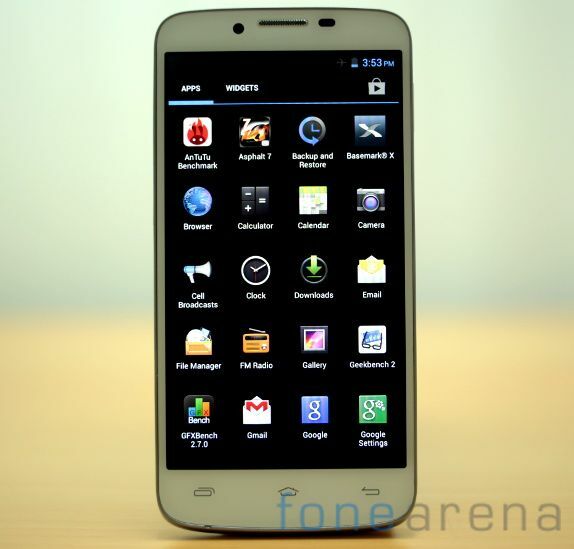 The Xolo Q1000 has a 5-inch IPS display at a resolution of 1280 x 720 pixel at 294 PPI pixel density. The display is based on one-glass solution (OGS) technology that reduces the phone’s thickness by reducing the air gap between the touch sensor, display and the cover glass. The display is bright and has great viewing angles. Since it is glossy, it becomes a finger print magnet. 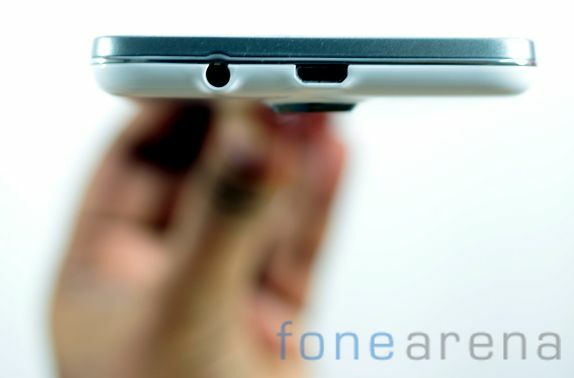 There is an ear piece on top along with a 1.2-megapixel front-facing camera with BSI sensor. The Proximity and Ambient light sensors are present on the other side. Below the display the capacitive touch buttons for Menu, Home and Back are present. These light up and offers haptic feedback when pressed. There is a tiny microphone below that, on the rim. On the left side there is a volume rocker and a dedicated camera key. Since the key is placed awkwardly, your fingers come in contact with the camera lens or the flash when you use the camera button to take pictures. There is a power button on the right side. 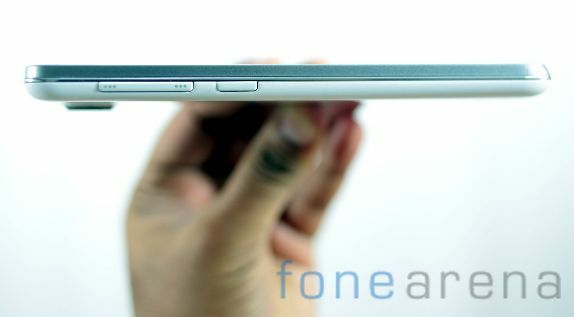 The micro USB slot and the 3.5mm audio jack are on the top. There is nothing on the bottom. 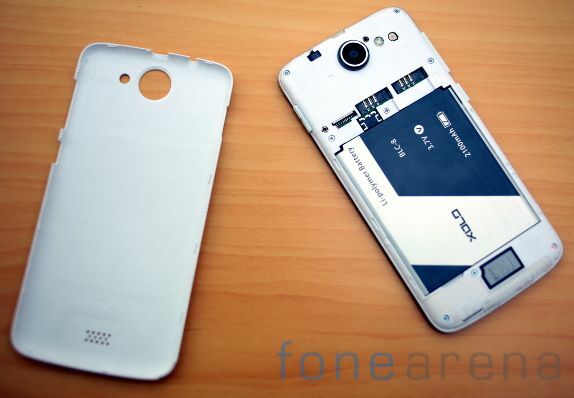 On the back there is a 8-megapixel camera with LED flash. It has a BSI sensor for better low-light imaging. 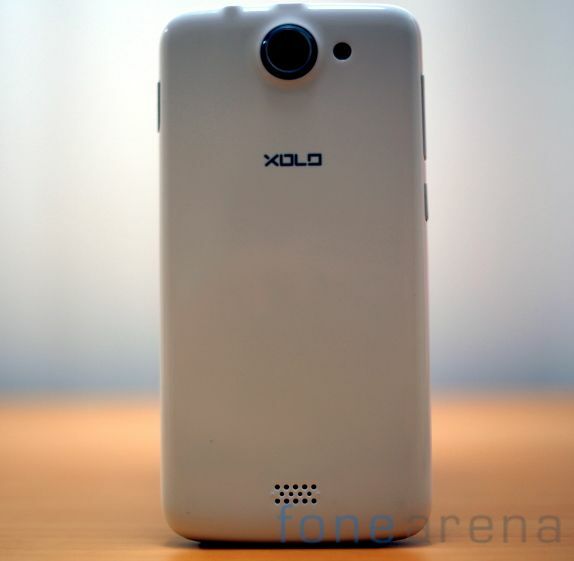 The LED flash is present next to the camera and there is a Xolo branding below it. The back has shiny plastic cover which makes the device slippery. Wish it had a matte finish like the Q700. There is a large speaker grill on the bottom of the back cover. 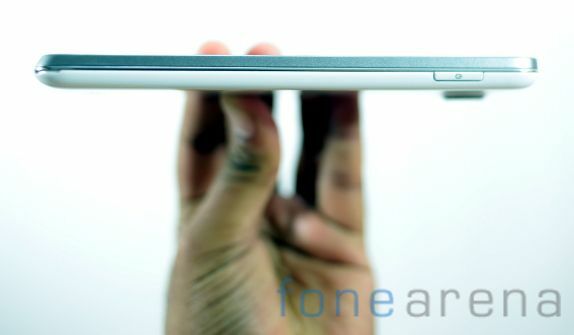 When you open the plastic back cover, you get to see the large 2100 mAh Lithium-Polymer battery. 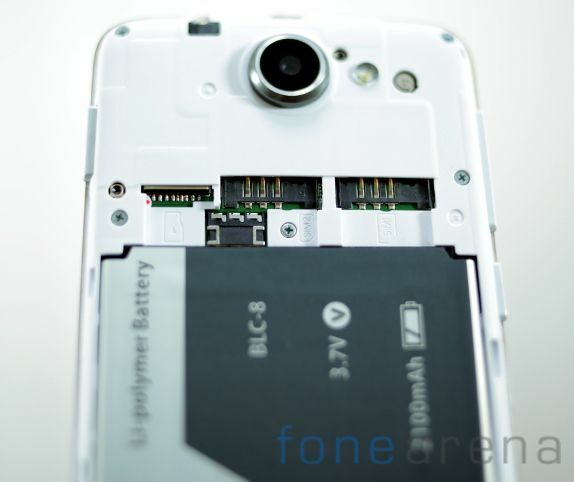 The micro SD card and the SIM card slots are present below the camera. 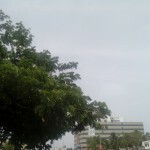 You can see the large camera sensor clearly. The IEMI details are present underneath the battery. 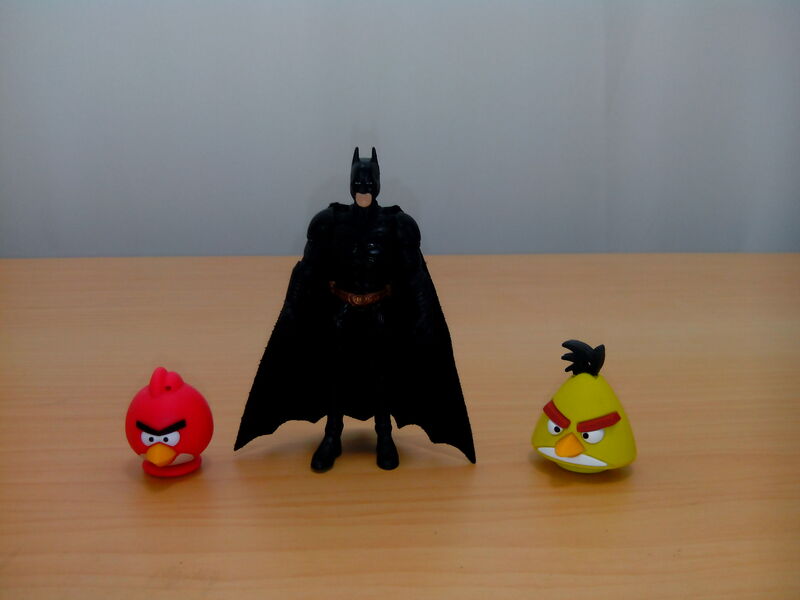 The 8-megapixel auto focus camera takes nice shots. Even low-light shots came out pretty good, thanks to the Back Side Illumination (BSI) sensor. 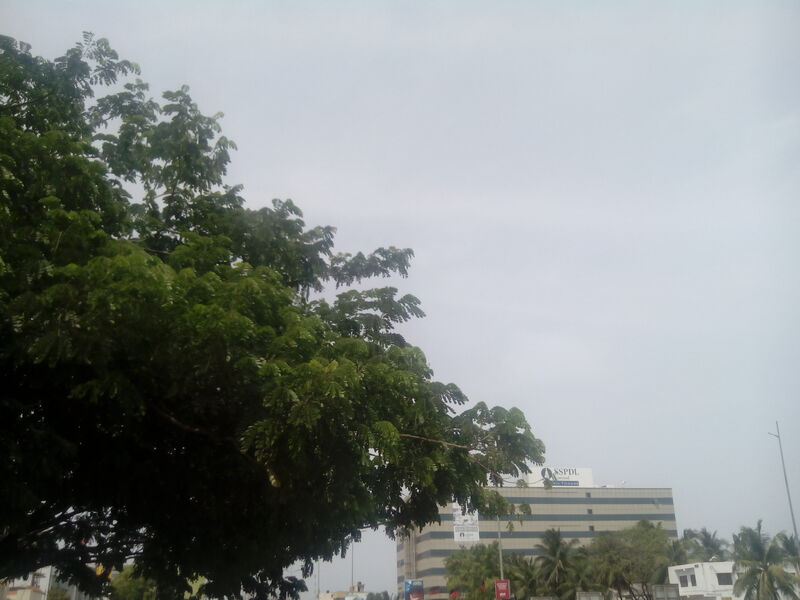 We noticed blurred spots in few shots, we are not sure the problem is with our unit. 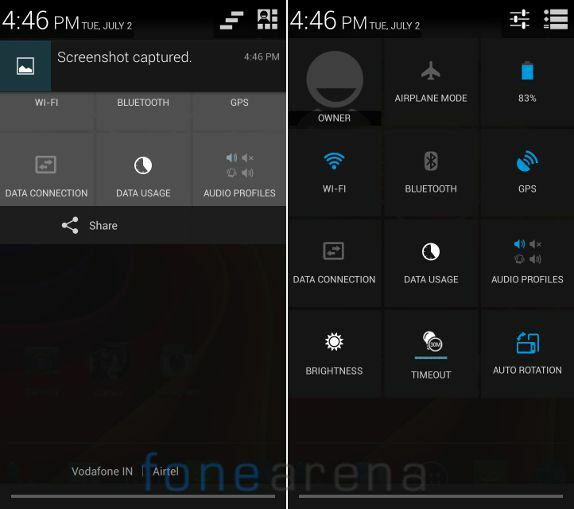 Since this is runs on Android 4.2, it support lockscreen widgets that lets you launch the camera directly from the lockscreen. The camera UI is similar to the Q700 with a navigation bar on the left pane that lets you change the different camera modes including HDR, Panorama, Smile shutter and more. There is a Flash toggle and option to switch between either cameras on the top. You can just swipe to the left to view previously shot images or videos. 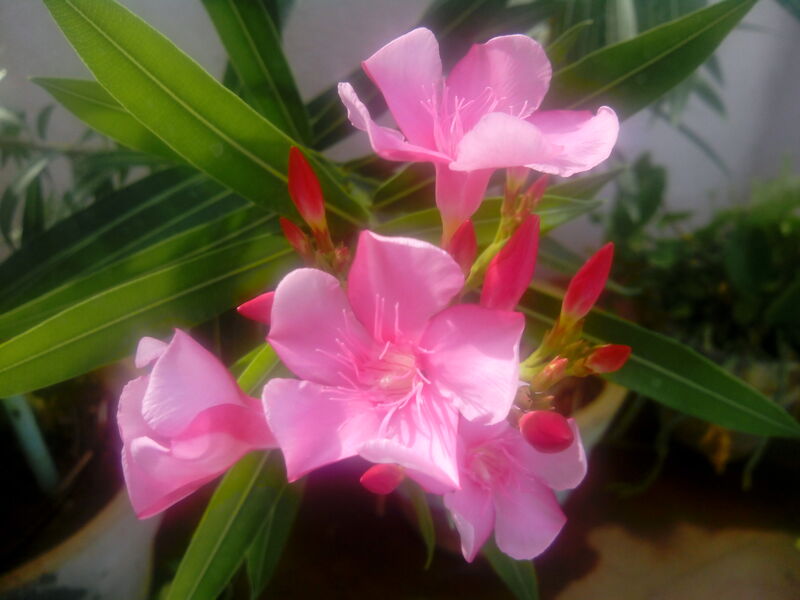 The settings menu lets you enable GPS location, adjust exposure, white balance, add color effects, change the scene mode and adjust anti-flicker mode. 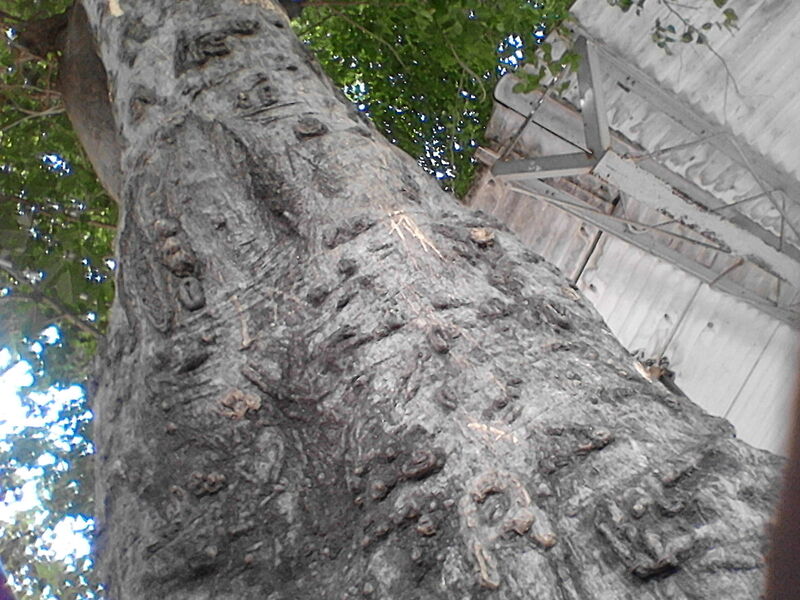 You don’t get Google Photo Sphere that is present in the stock version. 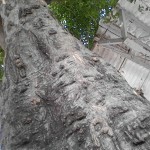 Here are some photo samples. 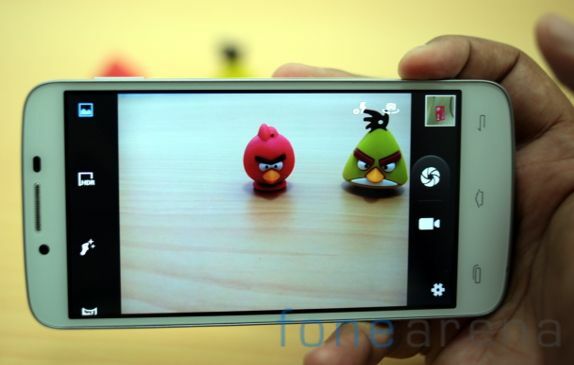 The phone can record videos at 1080p Full HD resolution. The video quality is average and is not bright. Since the phone lacks a secondary microphone the audio is not crisp. The Electronic image stabilization (EIS) uses software enhancements to minimize blurring and device shake. 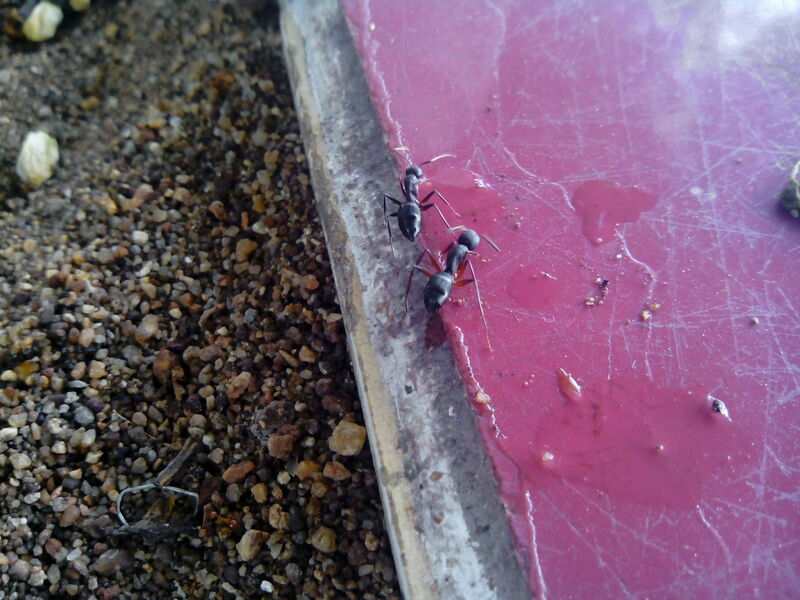 Here is the 1080p Full HD video sample. 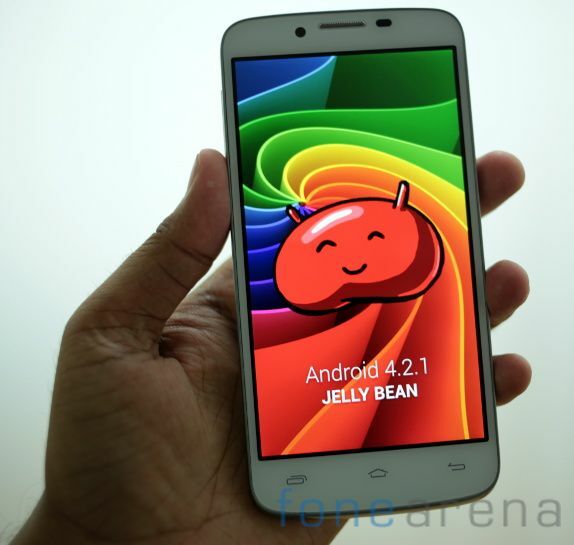 The phone runs on Android 4.2.1 Jelly Bean. 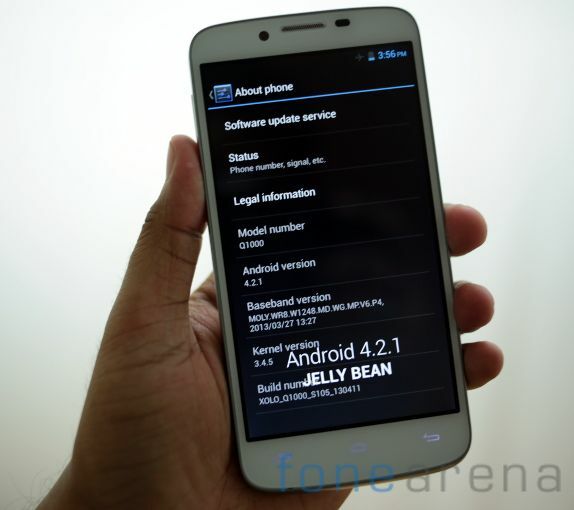 So you get a lot of features such as lockscreen widgets, Quick Settings, Photo filters and lots more that are not available in the Android 4.1. There are 5 homescreen, you can’t add or remove the number of home screen. You can press and hold on the home screen to change the wallpaper. When you swipe from the top with a single finger, you get the transparent notification screen. You get the Quick Settings when you pull down from the top with 2 fingers. This lets you control Brightness, WiFi, Airplane mode and Bluetooth. 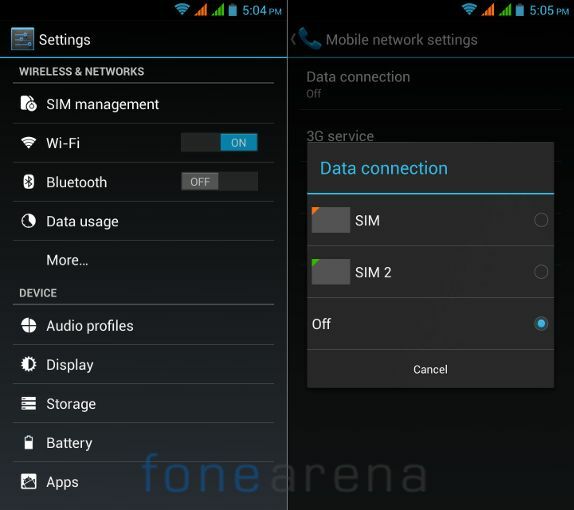 In addition there shortcuts for Data Connection, Data usage, Audio Profiles, Timeout and Auto rotation that are not available in stock Android 4.2. You can hold some of these quick toggle buttons to get to the advanced settings. It also offers rich notifications that lets you perform several actions directly from the lock screen. The lock screen lets you add widgets. You can add a range of widgets including Gmail, Clock, Messaging, Sound Search and more. You can swipe to the right to launch the camera directly from the lock screen. It has Google Now, but you can’t access it from the lock screen by swiping up or by holding the home button. However you can add the Google Now widget on the lock screen. In addition to the Slide, Face Unlock, Pattern, PIN and Password this one has Voice Unlock that lets you record a command and say it to unlock the device. The Daydream option in the display settings acts as a screensaver when the phone is charging or docked. 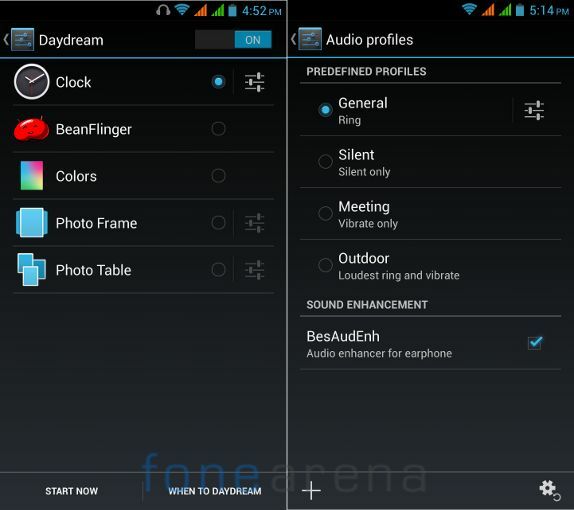 There is a sound enhancement option in the profile settings for better audio through the earphone on voice calls. The scheduled power on & off feature that lets you switch the device ON and OFF at a particular time. Out of 1GB of RAM, you get 971MB of usable RAM. 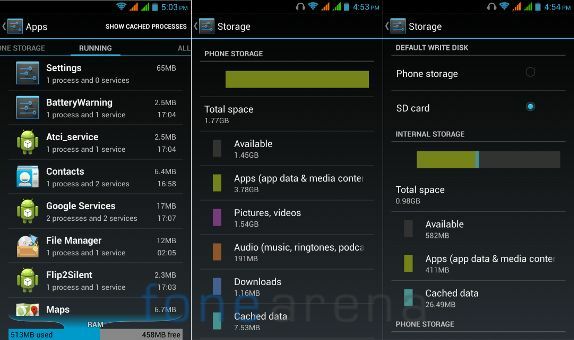 Out of 4GB of internal storage you get 1.77 GB of user storage. Once you insert an SD card you get option to switch the default write disk to the SD Card. This automatically installs the compatible apps to the SD cards. The phone comes with some pre-installed apps. This doesn’t have group tabs like the Q700. Utility apps include, Backup and Restore (to backup apps and personal data to and from the SD card), Calculator, Clock, File Manager, NoteBook, Email, Sound Recorder and ToDo . The Google apps include, Google Search, Gmail, Google Maps, Google Hangout (previously Google Talk) and YouTube. 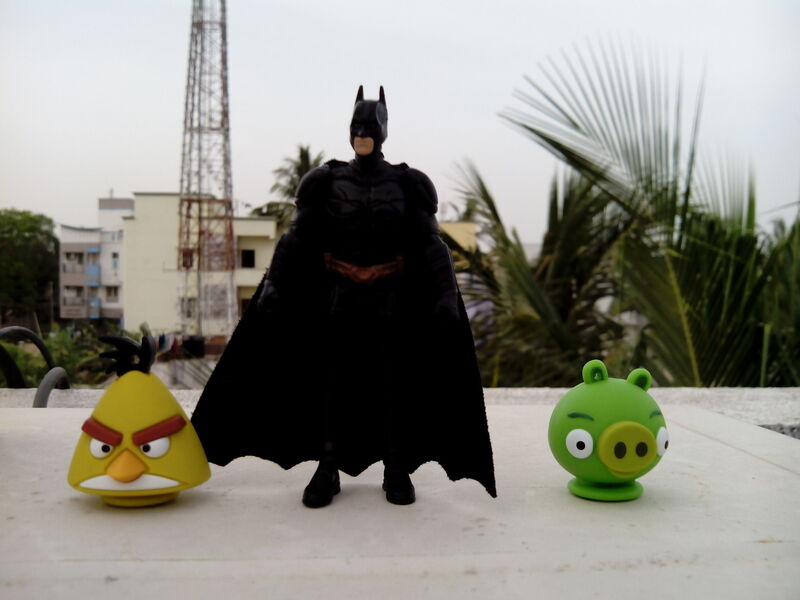 The phone doesn’t come with unique apps that are developed by Xolo, but you can install select apps such as Xolo Secure and Xolo Power apps from the Google Play. The Xolo Secure app keeps the phone protected by locking and also lets you track it remotely and the Xolo Power app that optimizes battery usage that lets you set data sync frequency, night mode and low battery mode to conserve battery life. 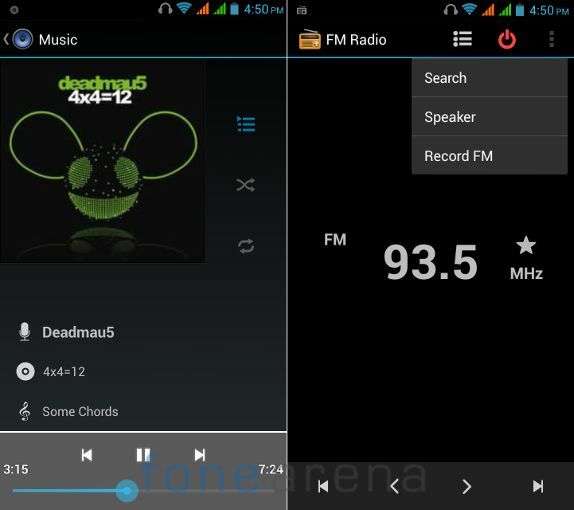 The Music Player is stock, which lets you play different audio formats, including MP3, MIDI, WAV, 3GP, AAC and AMR. You can enable equalizer from the settings and use Bass boost and 3D effect features when you are listening using earphones. The phone has FM Radio with auto tune, and recording, but it misses the RDS support. 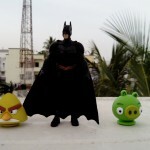 Audio from the loudspeaker could be better and the in-ear earphones are decent. It can play 1080p Full HD videos. Since the phone has a HD IPS display, full HD videos look great in the screen. Since this is a dual SIM phone, you get options to switch to either SIM cards from the notification bar. 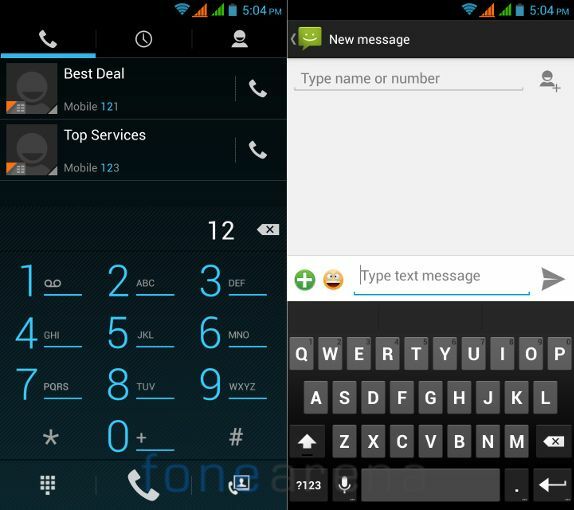 The keyboard is stock, but it doesn’t come with gesture typing like the stock Android 4.2. 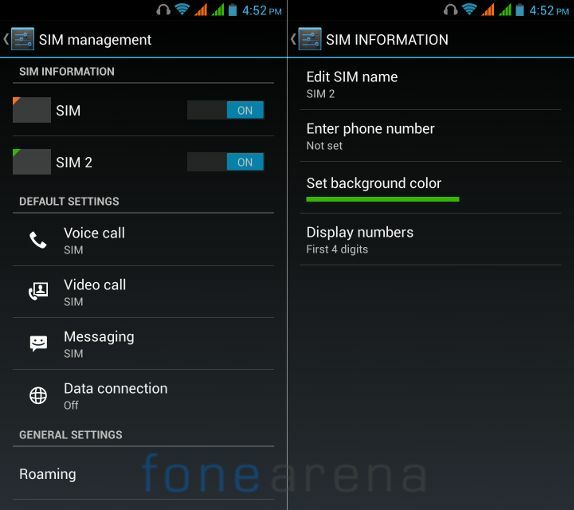 There is a SIM manager option in the settings, similar to other dual SIM Android smartphones in the market. You can set a default SIM for several operations including voice call, video call, Messaging and Data connection. You can also choose ‘Always ask’ option for voice calls and Messaging that gives you option to complete the operation after you choose either SIM cards. 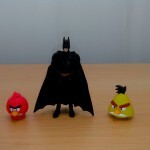 The connectivity features include, 3G (HSDPA: 42.2 Mbps, HSUPA: 11.5Mbps), Wi-Fi 802.11 b/g/n, Bluetooth v 4.0 with A2DP and GPS. It has support for wireless display. You can share content from the phone to a HDTV by connecting a wireless display adapter to a HDMI-enabled TV. 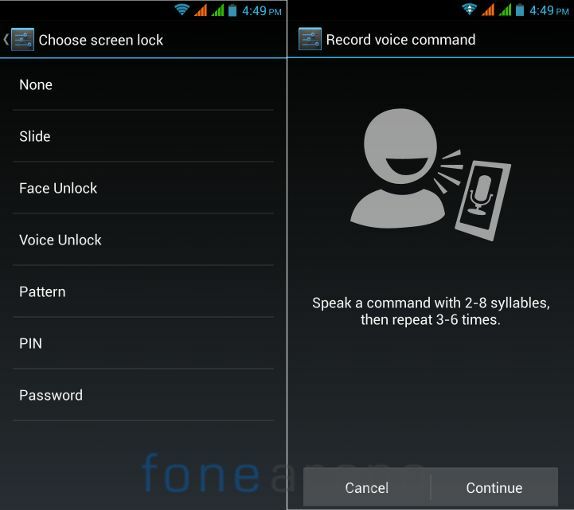 This option comes as default in the Android 4.2. 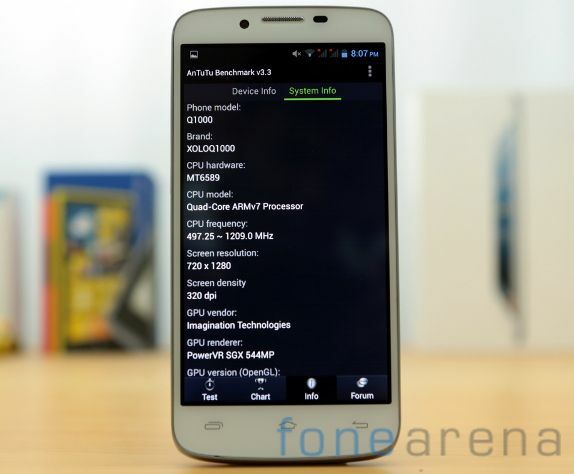 The phone is powered by a 1.2 GHz quad-core MediaTek 6589 processor with PowerVR SGX544 GPU which is clocked at 286 MHz. The performance is great including the gaming performance. Here is a video that test the gaming performance of the device. Here are some of the benchmark scores. The Q1000 scores few points less than 4000. 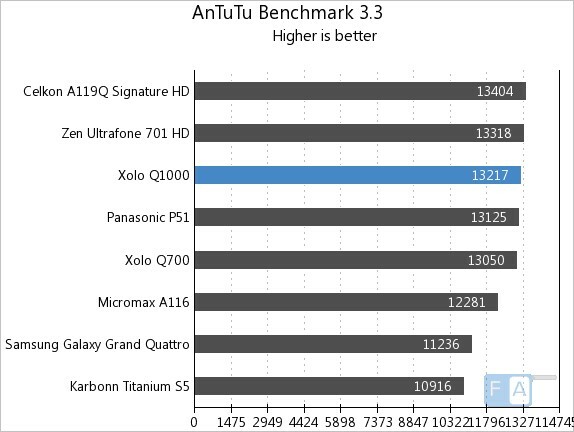 In the AnTuTu 3.3 benchmark it scores 13217 points, better than some of its competitors. 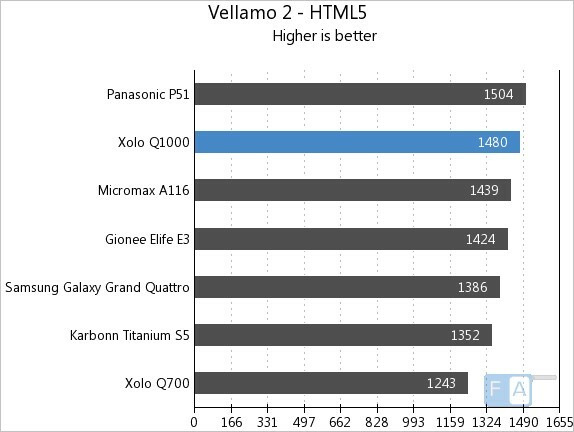 In the Vellamo 2 HTML5 browser benchmark, it scores 1480 points beating most of the smartphones. 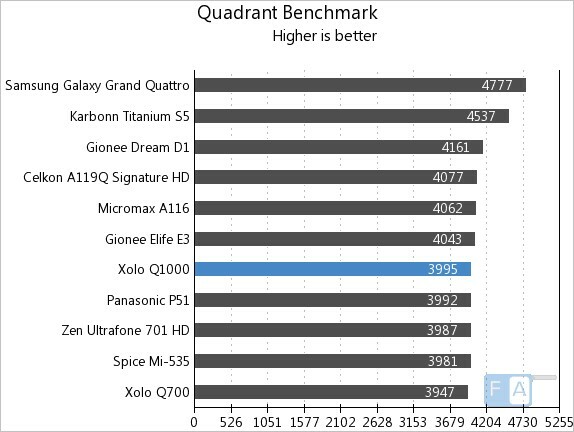 Check out the entire set of Xolo Q1000 benchmarks here. The 2100 mAh Lithium Polymer battery offers average battery life. The Xolo Q700 had a 2400 mAh battery, but the 2100 mAh battery in the Q1000 doesn’t last a whole day if you are a heavy user. If you use both the SIM cards, browse on 3G, listen to songs for few hours and play some games the phone would run of juice by the evening. 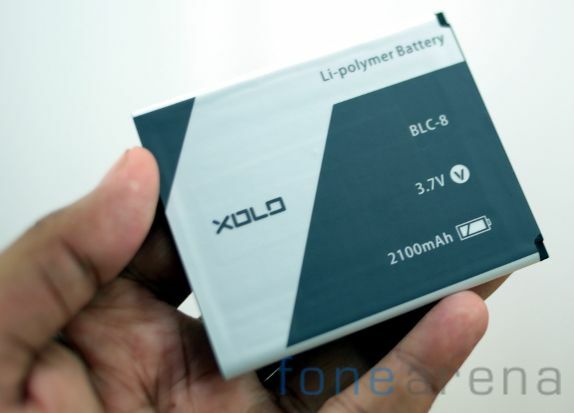 You can download the Xolo Power app to improve the battery life. 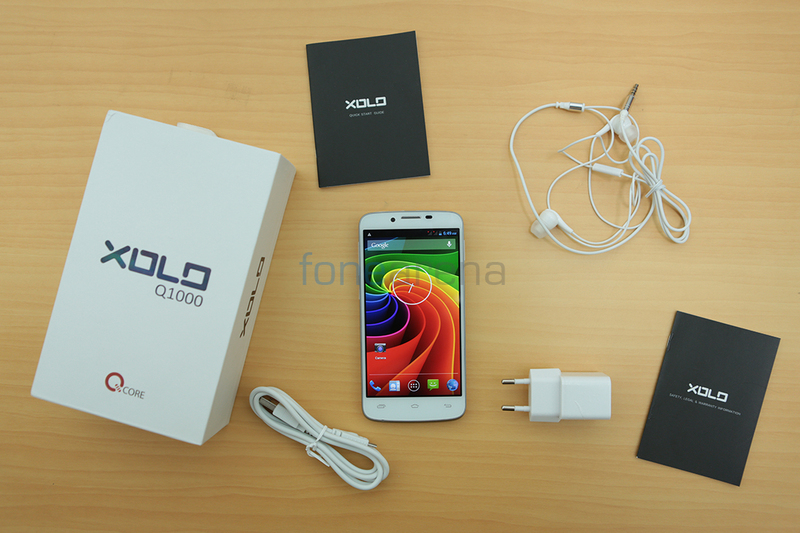 Overall, the Xolo Q1000 is a good smartphone compared to other smartphones in the similar range. 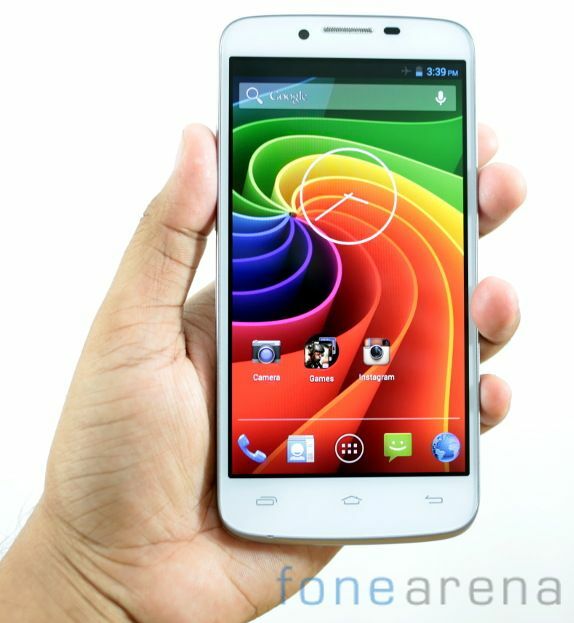 It has good display, powered by a quad-core processor and runs on the latest Android 4.2 Jelly Bean OS. 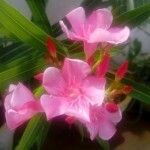 The camera could be better and the battery life is not great. At a price tag of Rs. 14,999, it is a bit costly compared to similar high-end smartphone, but if you are looking for a smartphone with a large and bright display, latest Android OS and a quad-core processor, go for it.